The One Plus One has done remarkably well in the last one year. It has reportedly sold over a million units to date and its successor is expected sometime in Q3. Even then, the device has been plagued by a number of issues. From faulty units with “yellowed” screens to what many viewed as a flawed invite-only buying process (which thankfully came to an end today). Those aside, there’s something on social media that caught our eyes today. A user of the device placed it on a damp towel and the results are surprising! 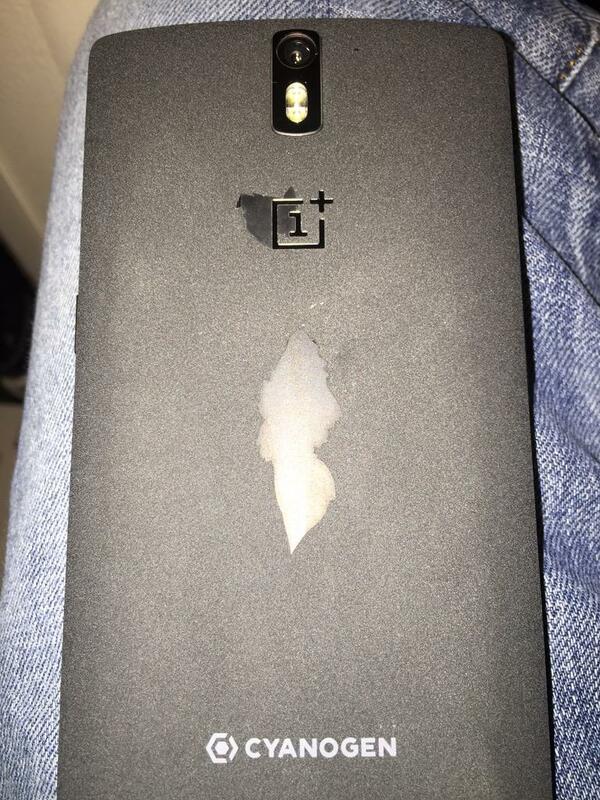 As you can see from the image below uploaded on Twitter by @Hunt3rj2, sections of the back cover peeled off and in follow up comments the user revealed intentions to replace it with one of One Plus’ other offerings: a bamboo back cover. We cannot tell at this point if there are other documented cases of the same happening to other users elsewhere but this is as interesting as it is concerning.